1.5 - 6 mm can be stripped. There is no need to adjust the cutting depth. We are a unique entity in this industry, actively committed towards offering a premium quality array of Wire Cutter. 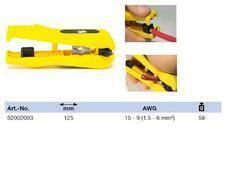 Wire Cutter, Wire Stripper, Ignition Terminal, Wire Crimmer. High Speed Machines are especially designed for bulk production in very lesser time with quality and accuracy. Our machines are widely appreciated among the clients for flawless performance, corrosion resistance and durability. These machines are available in different grades and specifications and can be customized as per the requirement. Cutting pliers for cutting stainless steel wires up to 1mm thickness. We offer an exclusive range of Remote Operated Wire Cutter that are useful in detection of different kinds of explosives. These are manufactured using extreme grade of material with light weight equipments. 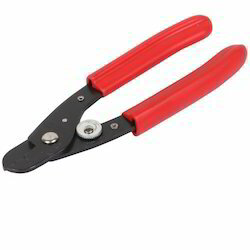 These have Remote Operated Wire Cutters and are widely demanded due to inspection accuracy, durability and reliability. Made of steel, having green coating handle use for manipulating & cutting small to medium work piece nicely.